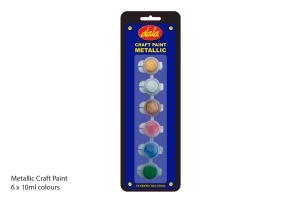 Dala Metallic Craft Paint is a quality art product that is popular amongst artists and crafters. All colours offer superior hiding power and dry to a durable and satin sheen waterproof finish. Due to its built in UV resistance, Dala Craft Paint can be used indoors and outdoors. Seal painted items with a layer of water-based varnish such as Dala Deco Varnish or with a solvent-based equivalent. IDEAL FOR: CANVAS, CARDSTOCK AND PAPER, STONES, UNGLAZED POTTERY, CONCRETE, PLASTER, CLAY ITEMS, PLASTIC, POLYSTYRENE, METAL AND MORE! 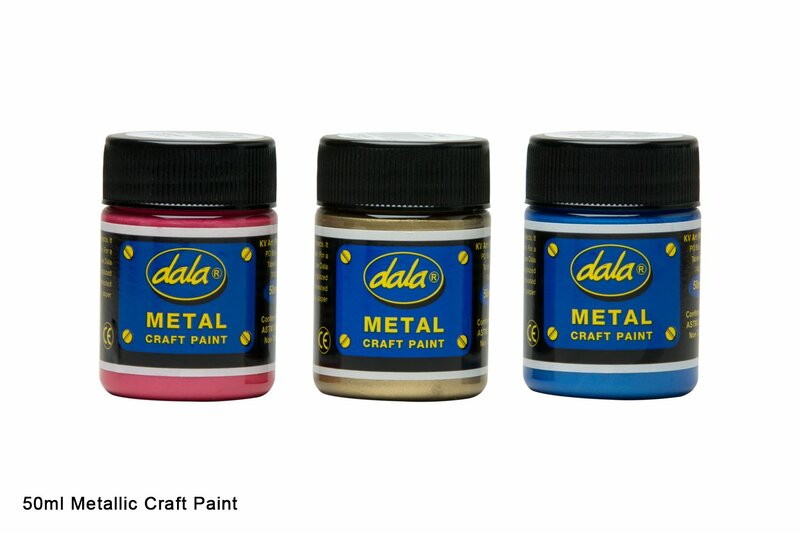 Dala Metallic Craft Paint is perfect for school, home and studio use, as well as outdoors. Apply an even coat to your intended surface. Some surfaces may require a second coat. Seal and protect with a water-based varnish (Dala Deco-Varnish) or with a solvent-based equivalent. Please Note: Water based paint is irremovable when dried. *Clean brushes with water immediately after use. This item has 2278 views.